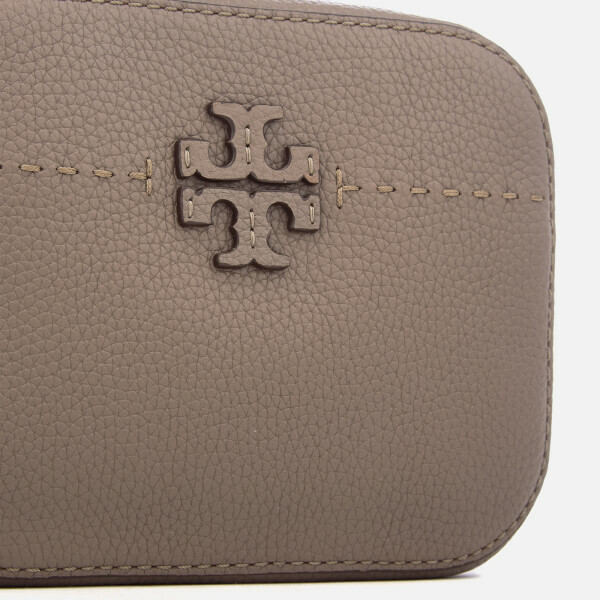 Taupe 'McGraw' camera bag from American lifestyle brand, Tory Burch. 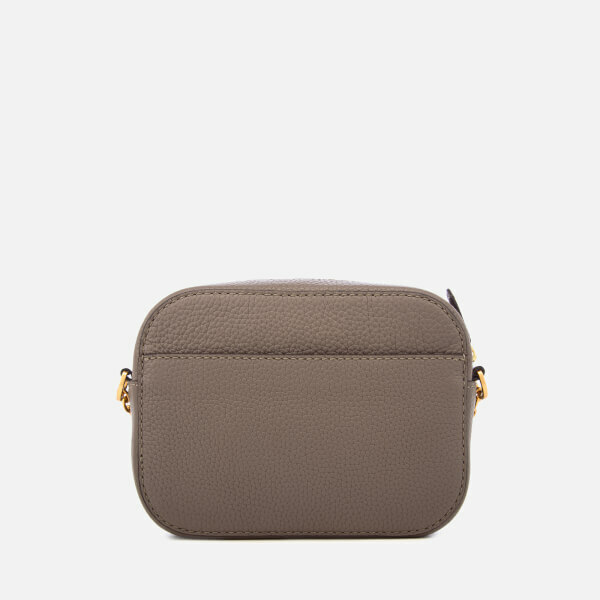 Crafted from pebbled leather with hand-sewn pick stitching, the classic design features a top zip fastening and a lined main compartment with one slip pocket. An external rear slip pocket also features. 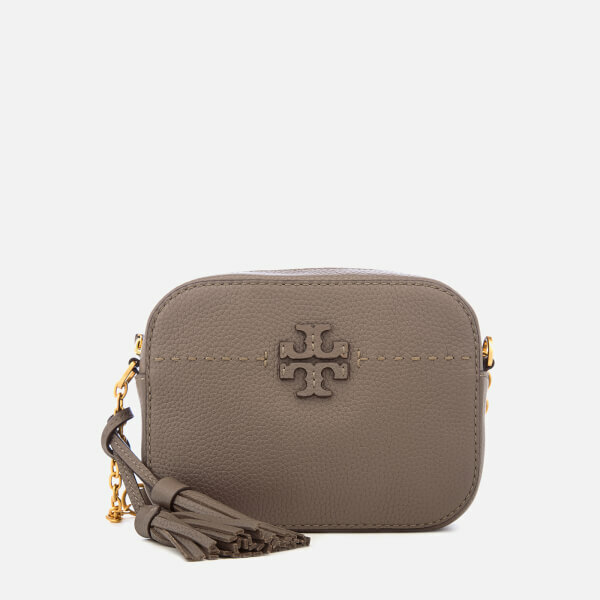 Accentuated with the brand's signature double 'T' logo and a detachable tassel charm. A gold-toned chain strap completes the bag.